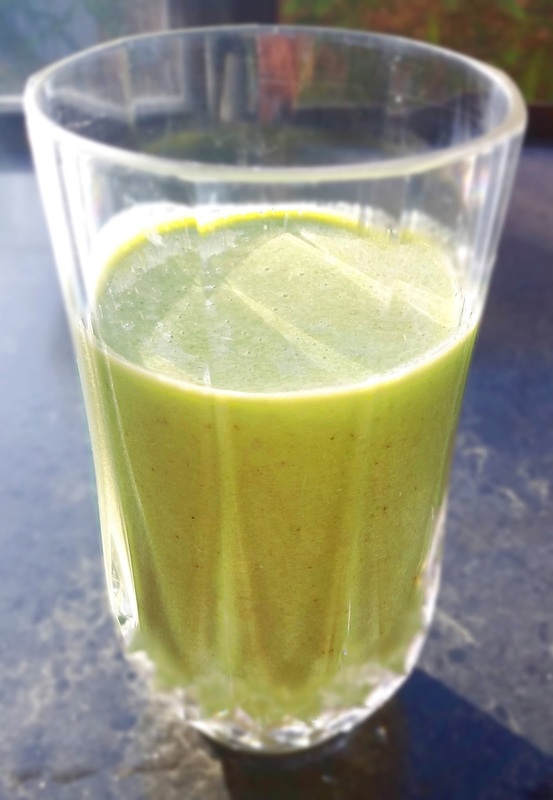 Who doesn’t like a good green smoothie? Here’s another tasty option to add to your repetoire. It is sweet yet tangy with the almonds and banana lending a comforting layer of flavour and soft texture. I find it quite an invigorating, Summery recipe. Apparently lots of people eat sliced apples with almond butter as a snack, so I must try this because I loved it in smoothie form. I leave the skin on the apples for extra fibre, and because my Nutrininja can handle it, but peel yours if your blender doesn’t like skin. If you are wondering about combining the flavour of spinach in there, don’t – you can’t even taste it. It is a great morning pick me up. Plus apples wake you up as well as a coffee. That doesn’t stop my coffee addiction once I arrive at work, though. Still – an apple a day and all! 1 large granny smith apple, chopped. Swapping granny smith apples for red delicious apples would change this up a lot – it would be less tart and more sweet. I’m keen to try it. Adding some natural or Greek yoghurt would also be lovely. Is it really necessary to add a method section to a smoothie? Well OK then.